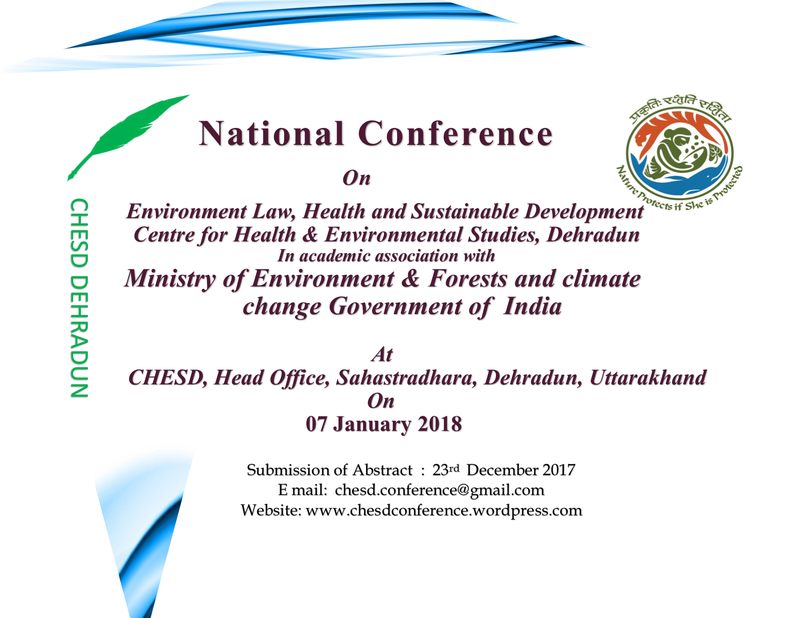 The Centre for Health & Environmental Studies, Dehradun in academic association with Ministry of Environment & Forests and climate change Government of India are organising the National Conference On Environment Law, Health and Sustainable Development. CHESD, Head Office, Sahastradhara, Dehradun, Uttarakhand. Centre for Health and Environmental Studies Dehradun has been working in the field of improving the health and environmental attributes throughout Uttarakhand by its various initiatives. 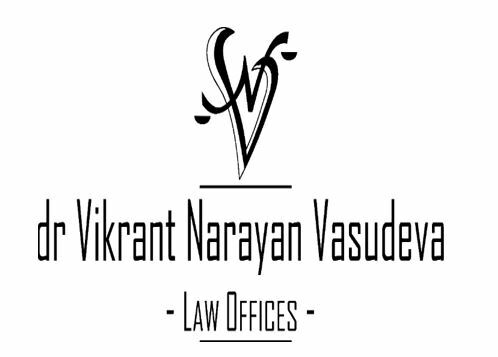 The society and law are the two integral parts of a civilization. The society keeps on changing from day to day and so as the law from time to time and they both maintain the dynamism in them. In order to study and understand this catalytic behaviour, a deep analysis and discussion is to be done on the various issues and trends of societal development to make a better futuristic oriented policy and regulation. This conference will be the platform from where these issues will be addressed and analyzed by different delegates from all around the world. The immensity of global warming can be discouraging and depressing. What can one person, or even one nation, do on their own to slow and reverse climate change? The good news is that we know exactly what needs to be done to stop climate change – and the technologies we need already exist. With the right policies at national and local levels, we would be able to deploy them on a large scale. Abstracts not exceeding 300 words on any of the aforesaid themes should be sent to the Organizing Secretary through email at [email protected] on or before 23rd December 2017. Intimation of Acceptance of Abstract within 3- 4 working days of submission (if accepted). The registration fee includes conference book with ISBN number, kit, lunch, High Tea, entry to all Technical session, Certificates and local hospitality. Free one-day Accommodation will be available to the limited no. 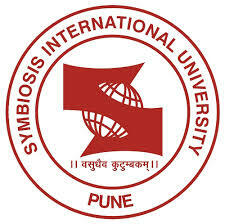 of outstation Delegates at university guest house and nearby other guest houses/hotels around conference venue. For details, view the brochure given here or visit the official website link given here. Centre for Health and Environmental Studies Dehradun has been working in the field of improving the health and environmental attributes throughout Uttarakhand by its various initiatives. The centre regularly conducts awareness programs in the fields of Health and Environment connoting the government schemes and policies to the grassroots of Uttarakhand through its various research and developmental activities. It also provides free legal aid in the matters concerned with Health and Environmental matters or disputes.